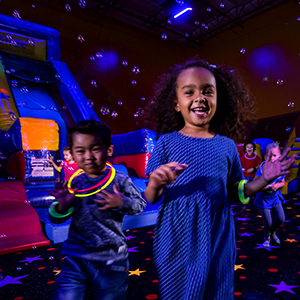 Pump It Up just got a bit more fun! 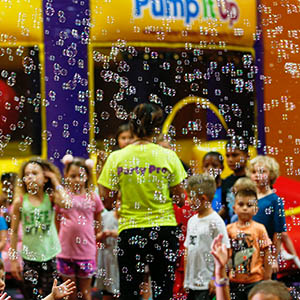 Kids love them and now you can add magical bubble shower to your party at just $20.00. Call us at 714-847-9663 for more details. This bag includes a variety of fun toys, an activity book, punching balloon, and slide whistle!